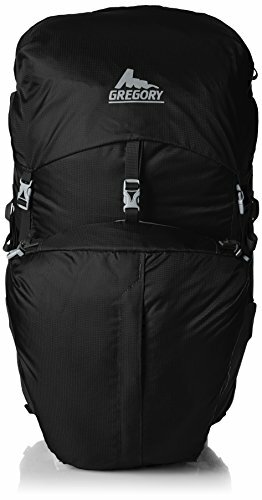 Struggling to find a lightweight backpack roomy enough to take on long weekend trips but also strong enough to pack heavy gear on overnighters? Gregory Packs may not be as popular of a name as other household outdoor gear brands but they certainly know how to make incredible backpacks. Their Z55 backpack easily outcompetes with others in the 55 liter category, thanks to its superior design and impressive tech features. While typically sold as a weekender backpack due to its capacity size, it is versatile enough to be used for upwards of week long trips if the wearer is a light backpacker and consolidates their gear. If you’re in the market for a new midsized internal frame backpack, you should seriously consider this model. In this Gregory Z55 review, I’ll break down the key specs followed by my personal take and final recommendation. Final Take – How Does it Measure Up? All three size bags are available in two colors: Spark Red and Storm Black. 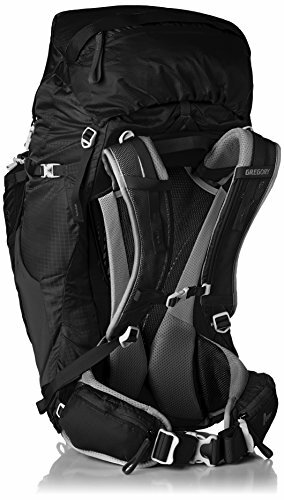 Although it isn’t listed by the Gregory company, most agree that this backpack should not be loaded more than around 35lbs, especially on long trips/many hours of hiking. While the bag can handle more weight, it likely wouldn’t be comfortable for the person if they have to hike for many miles. The Z55 is really built with the adventurer in mind. The combination of features make this backpack a real pleasure to wear. Not surprisingly, this model has quite a few benefits or advantages over competing backpacks. There are a lot of advantages to the Gregory Z55, which isn’t a surprise since it’s regularly rated as a 4.5 to 5 star backpack. One of the first major advantages of this model is that it comes in 3 sizes which span quite a bit in size. Many brands make only one size backpacks or combine small/medium and large/extra-large together. People are all different and backpackers can vary drastically in size and build. Gregory kept this in mind when developing the sizing options. Unless someone has very atypical body measurements, they should be able to wear one of their sizes comfortably. In regards to sizing, the Z55 is sold as a unisex backpack so it isn’t designed with just men or women in mind. However, thanks to the sizing system, women don’t need to worry about a one size backpack not fitting their frame. The adjustability within the small size means even smaller woman should be comfortable. This goes for larger youth and young teens as well. Ventilation: Gregory’s CrossFlo suspension provides amazing ventilation to keep the back of the wearer cool and dry, even in chilly weather. The EVA foam padded harness (hip belt and shoulder straps, lumbar pad) give enough padding to prevent digging in while also providing further ventilation to prevent discomfort and/or chafing. 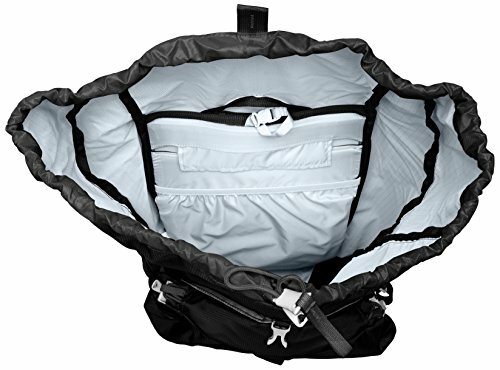 Comfort: Last but not least, this internally framed backpack’s back panel gives enough support to allow the wearer to easily pack a heavy load without strain. Despite this backpack fitting like a glove, it doesn’t feel overly clingy. Weight: If you already have a light or ultralight style 55L backpack, you may have noticed that the backpack is a little heavier than some. The main reason for this is the quality of materials used in its construction. The Z55 is just plain tough. It is extremely resistant to tearing, scraps and punctures. The tight weave nylon will easily put up with years of heavy use and won’t need to be babied. Water Repellent: The weave of nylon also makes this backpack surprisingly water repellent, even though it comes with a rainfly. This attribute also helps prevent staining. The Gregory Z55 has a whole of going for it. It is incredibly comfortable with an ergonomic fit, plus it is very attractive in terms of aesthetics. Larger backpacks (55 liters and up) sometimes look very bulky and frumpy, especially if they aren’t loaded to capacity. The Z55 doesn’t have this issue, but instead is very streamlined and smooth. Aside from looking nice, this compact build makes it easier for the wearer to traverse through brush and amongst trees or rocks without getting snagged. 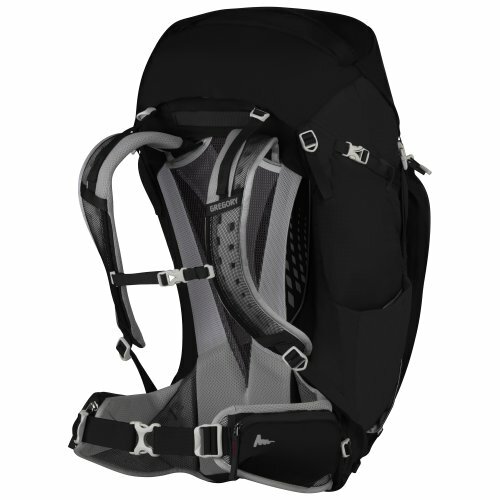 Even if not loaded to capacity you won’t need to worry about the backpack feeling loose since the compression straps allow you to really cinch down your gear. In fact, this pack felt the best when fully loaded with gear. It’s true that a lot of backpacks in this size category have a removable top lid, which is a useful feature for backpackers who want to “shrink” their bag for daytrips or backpackers who want to lessen their load when do day hikes from their main campsite. Not being able to do this is more of an annoyance for some people while others don’t seem to mind since the bag does only weigh around 3lbs anyways. Another downside for some backpackers is the lack of accessibility while on the trail. Aside from the hip belt pocket, you will need to take off the backpack to reach other pockets or grab something from inside the bag. Larger backpacks tend to not have a ton of access while being worn so, similarly to the lack of top lid removal, unless it’s truly important to you, you’ll be fine without it. The Gregory Z55 is really an underappreciated backpack. While other brands like Osprey, High Sierra and The North Face reign in popularity, this backpack really shines in practicality, comfort and overall superior design. It’s no surprise that many users of the Z55 rave about how much better this backpack is and how they wish they had made the purchase much sooner. If you’re tired of paying high prices for bags that you wish were better quality or more comfortable, save your time by looking into the Gregory Z55 instead. You can check out this listing for the latest pricing and discounts.